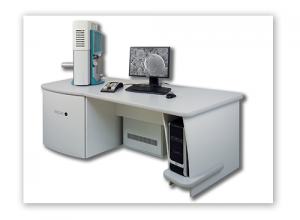 My husband Andrew, has spent much of his life working with scanning electron microscopes (SEMs). He first learnt how to use an SEM when he was with The Wellcome Foundation doing analytical biochemistry. A few years later he went to The Wellcome Foot & Mouth Disease Virus Laboratories working on the virus as a senior technician for nearly 10 years . He also worked on feline leukaemia and equine flu amongst other things and was one of the first to produce peptides for foot and mouth disease. 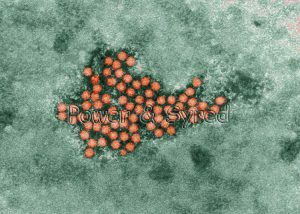 He has become very knowledgeable in the field of chemistry, laboratory techniques, scanning and transmission electron microscopy, biology and botany. You can see some of his work at here. Being particularly au fait with foot and mouth disease, he also knows much about vaccines, peptides and other techniques and sometimes he amazes me with his wealth of knowledge in these areas. For those who want to know what a peptide is, it’s a string of amino acids joined together. There are 20 naturally occurring amino acids. This enables custom ‘designing’ of small fragments of protein (proteins are made of amino acids). These tailor made peptides can then be used in many ways including experimentation and vaccines for example. I’m always grilling him and picking his brains for his thoughts on what I’m blogging about and as much of my posts are to do with nutrient minerals, particular Magnesium (Mg), his chemistry knowledge is a boon. When I first started on my Mg quest, Andrew didn’t say much. He is really quite a scientist. He will not believe anything until it has been proven beyond a reasonable doubt. I had been taking it for a few weeks and feeling really well. I had my first good nights sleep since I can’t remember when and my muscle spasms were all but gone. Constipation was a thing of the past and I can’t remember the last time I had a migraine. My mood was upbeat and my depression had melted away. I was a new woman and the only thing I changed was to take a Mg supplement. So when I started my crusade with Mg, I was really surprised when Andrew started taking it too. He would always avoid taking any drugs or supplements and I surmised that he could see a real change in me and so thought it was worth a try. But it wasn’t really that at all. One day I asked him why he decided to start taking Magnesium (Mg) and he said it was because of his brothers and his inevitable glaucoma (according to his optician). Andrew has three brothers and all three of them have their health problems. One brother has had a serious blood pressure problem for donkey’s years and also suffered a stroke. He now has been diagnosed with Type 2 diabetes and other problems. His eldest brother has had a quadruple by-pass, a stroke and recently been operated on to clear his seriously blocked carotid arteries. His third brother has been diagnosed with an enlarged liver and told to stop drinking. He actually never drinks! Out of the 4 brothers, Andrew is definitely the healthiest. He says he wants to stay that way and taking Mg will help avoid a stroke amongst other things. He has a real fear of having a stroke, being incapacitated and having to be cared for. He also said that Mg is a mineral that is necessary and vital for all life and is always used in cultures when growing up animal or plant cells. My ears pricked up and I asked him what ratio of Mg was used in cultures in relation to Ca. He said he didn’t actually know but would find out for me. Meanwhile, Andrew says he will continue taking Mg probably for life as he knows its vital importance, especially as research has shown that it helps keep the arteries clear of calcification. Now calcification is something that is a real worry for everyone, especially in these modern times with our maladjusted diet and nutrient depletions and I will be doing another post on this serious subject in a week or so. I have now been doing this website since August 2015 and the biggest problem I have found is trying to convince people to take this mineral and to cut down on the ‘star’ mineral Calcium (Ca). Ca of course is necessary, as necessary as Mg but we have gone overboard as have the food manufacturers, the supplement producers, Big Pharma and their PPIs (proton pump inhibitors) and antacids like ‘Tums’. This is the nub of Mg deficiency today. We are all taking in too much Ca and not enough Mg and this simple fact needs to be disseminated to the whole population. Andrew knows this fact but I didn’t realize and nor did he, that his knowledge actually held the proof that an equal ratio of Mg to Ca will generate healthy cells. Cultures are made up in the laboratory to produce healthy cells in vitro. As it happens, we already know what the ratio should be to keep cells healthy. Laboratory technicians and researchers are doing this all the time. The cultures they use to produce healthy cells will always have Mg in them. They will also have Ca, but what ratio do they use for these cultures? MgSO4 (anhydrous) – Elemental Magnesium is 20mg per litre of distilled water. CaCl2 – Elemental Calcium is 18mg per litre of distilled water. Ham’s tissue culture medium for mammalian cells. 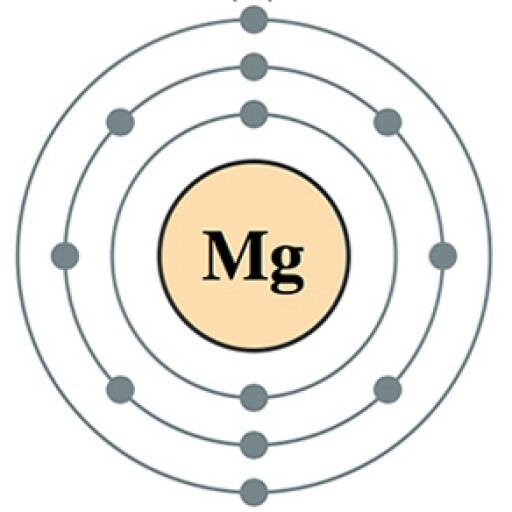 MgSO4.7H2O – Elemental Magnesium is 15mg per litre of distilled water. Why are they doing it to us? For this to be the standard within a laboratory or research environment for producing healthy cells, what are we doing consuming amounts of Ca that can be anything up to 10 times the amount of Mg, causing by default, a severe Mg deficiency in many of us. 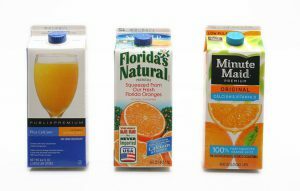 These orange juices have 350mg of fortified calcium per glassful. 2 glasses would be your RDA for the day. Why are we not being educated by the medical profession on the importance of this vital balance? Why are the food manufacturers fortifying our foods with Ca? Why are we being encouraged to supplement with massive amounts of Ca especially for women and the older generation? Why are we being coaxed into taking massive amounts of Ca Carbonate (chalk) in antacids such as ‘Tums’? Why is the medical fraternity advocating that everyone with osteoporosis and arthritis take extra Ca? 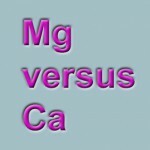 Why do the majority of Ca supplements have none, or very little, Mg in them to balance? Remember this, you have trillions of cells within your body. Having healthy cells in a petri dish is no different than having healthy cells in the human body. 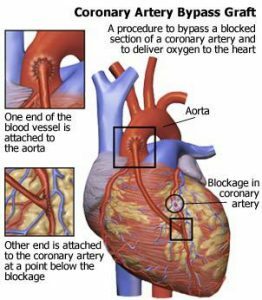 Excess Ca is causing all kinds of health problems for us. It’s about time the medical profession came clean and started looking at preventative measures with natural vitamins, minerals and other nutrients and keeping us in good health. This is the better strategy rather than waiting for us to get sick then controlling our sickness for life with poisonous drugs and various unpleasant surgeries and therapies. A doctor without knowledge of nutrition is like a firefighter without knowledge of water! I have now been doing this website since August 2015 and the biggest problem I have found is trying to convince people to take this mineral and to cut down on the 'star' mineral Calcium (Ca). The title of your post pricked up my ears! Although I love to learn something new everyday, I also like to enhance my knowledge of things I am already aware of. Your post is fantastic and went into great details to help everyone at whatever level of knowledge they are at. Personally, I don’t do very well with pills, so I use magnesium topically and have seen incredible results in my life. I became aware of calcification in 2009, when I went through health challenges and ‘obsessed’ with research and study. I avoid manufactured calcium like a plague and I am glad your post identified this. Great research. Hi Chess, I learned so much from your post! I had no idea the calcium and magnesium levels should be equal, I’m one of those many people that kind of neglected magnesium and always thought Calcium to be much more important. But this will change from now. You have definitely done a lot of research for this website and it shows! I am not a big lover of milk or dairy products so I take a calcium supplement which contains magnesium and boron also. A teaspoon contains calcium 800mcg and magnesium 350mcg do you think this is the correct ratio ? Sorry to hear about your husband’s and his relatives’ health issues. I have heard a lot of products are fortified with Calcium but I have never had any idea you should also take Magnesium in an equal ratio to prevent it from being blocked by your body. Thanks for the informative article! Fascinating subject which you appear to know so much about. I am currently building my first site called karateforseniors, aimed at older people taking up the martial arts. Would magnesium supplements help older people to keep active? 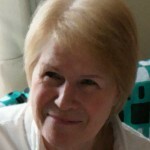 If so I could link my site to yours and also, maybe get you to write a guest post?